Each state of Australia has its own governing agency that oversees gas safety. Western Australia’s governing agency is Energy Safety WA. They set legal standards related to the use of gas appliances indoors, outdoors, and in semi-enclosed spaces such as alfresco areas. These legal standards must be adhered to. Using gas appliances in enclosed spaces can be lethal if the gas appliances are not designed for indoor use. The main risks are gas inhalation, oxygen deprivation and fire. It is vital that you understand if your Alfresco area is classed as enclosed or outdoors. Is My Alfresco Area Enclosed? The area has walls on all sides but at least one permanent opening at ground level and no overhead cover. The area is partially enclosed including an overhead cover and three or more walls with at least 25% of the total wall area completely open AND at least 30% of the remaining wall area is open and unrestricted. If your alfresco area is more enclosed than the above diagrams, then it is classified as indoors. 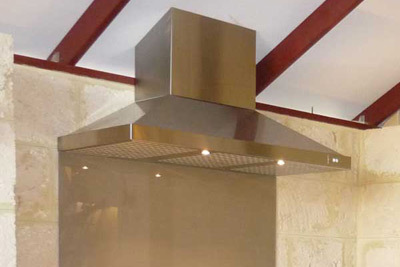 Outdoor Alfresco Kitchens manufacture barbeques, exhaust hoods and cabinets which comply with these laws. Check out this great PDF for explanation on interlocking devices and what is classified as an enclosed area.